Join us for the 3rd Annual McGaffey Lecture presented by Elizabeth F. Thompson, PhD Mohamed S. Farsi Chair of Islamic Peace, American University in Washington, DC. 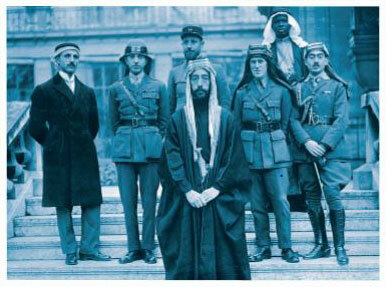 After World War I, a democratic regime emerged in the Arab world that was praised by U.S. president Woodrow Wilson, yet feared by European leaders as a threat to their colonial occupations. The UWM History Department invites you to the Jere D. McGaffey Annual Lecture to hear Dr. Thompson explain how Britain and France colluded to destroy the fledgling Syrian Arab Kingdom and the profound consequences that have since reverberated throughout history. Free and open to the public. A reception follows the lecture.